In the spring of 480 BC the Persian emperor Xerxes invaded mainland Greece with the most formidable army ever heard of. He almost succeeded in subduing the loose coalition of city-states. His defeat came from the sea at the mercy of Greek ships attacking his supply lines. Centuries later, when CSAT strategists outlined their war plans, they made sure that control of the seas was a top priority. 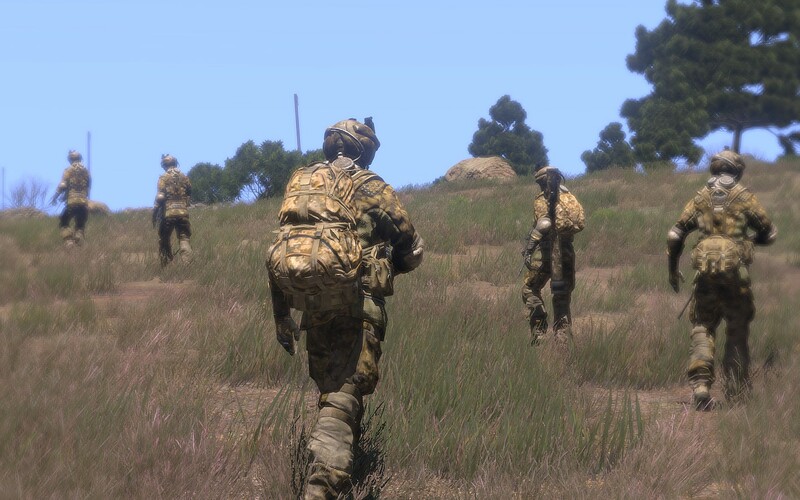 The invasion of the island of Altis, a vital strongpoint for the CSAT anti-access naval strategy, has overrun the meager NATO forces. For the time being, the west powers have no navies to summon for help. 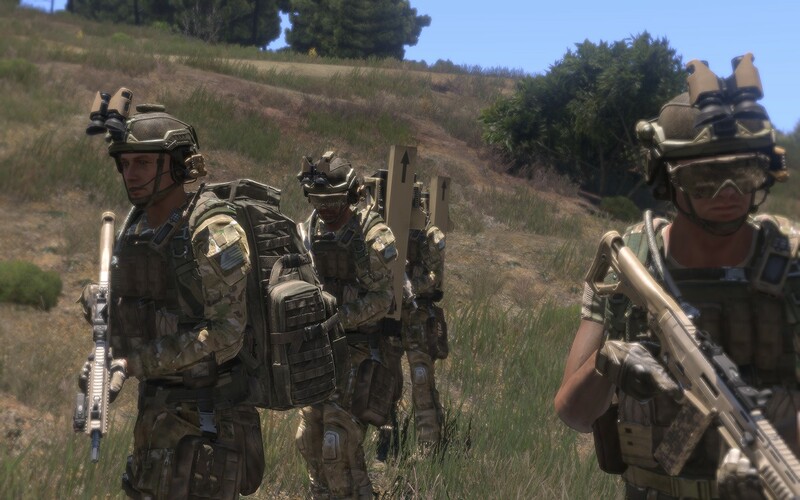 This is the briefing for a custom-made single player ArmA 3 mission. 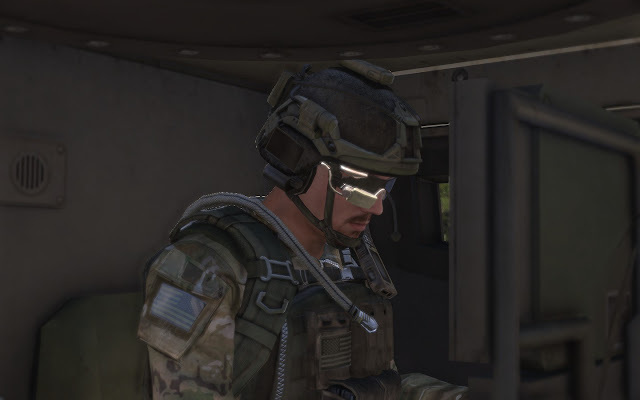 The case is made that, no matter the era, light infantry has strengths and weaknesses that need careful attention by the tactician. After disembarking, the enemy is consolidating his forces inland (Chalkeia and Dorida). Their logistics are poor and they are suffering delays at all levels. 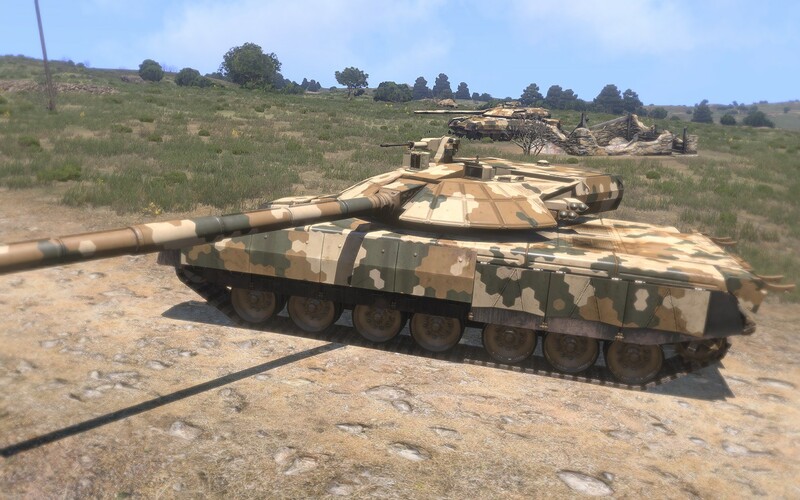 A few enemy tanks are already in the island, which is the most worrisome turn of events since the start of the NATO forces' retreat towards the capital city. Right click and open in a new tab or window for a better view. The tactical situation. Earlier this morning, an enemy tank section was recovered from boggy terrain off the Chalkeia Bay. They will likely rejoin their parent formation at Dorida. Later today, our company will attack the enemy position at Dorida (H hour is 1700). It is crucial to interdict the enemy's effort to consolidate at Dorida by delaying or avoiding the movement of tanks from the Chalkeia Bay. The two enemy tanks right after being recovered, getting ready to move ahead. The tank section is being escorted by dismounted infantry, their strength estimated at platoon level. An enemy attack helicopter is also providing some cover. Own forces: an AT section armed with Titan AT missiles, augmented by an UAV and a HMG mounted in an armored vehicle. We got into our starting position (blue icon in the above map) after an uncomfortable ride through hilly terrain. 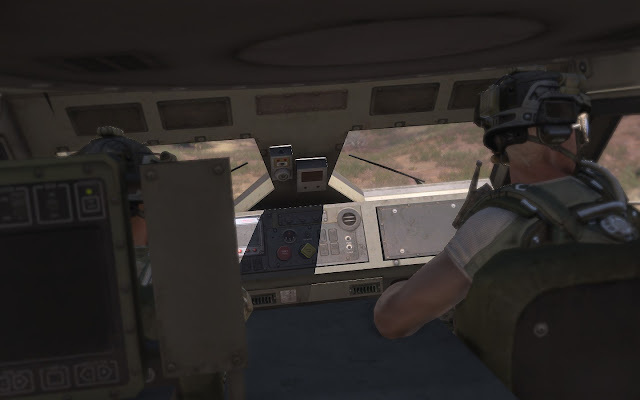 This is the gunner of our vehicle, busy at the controls. 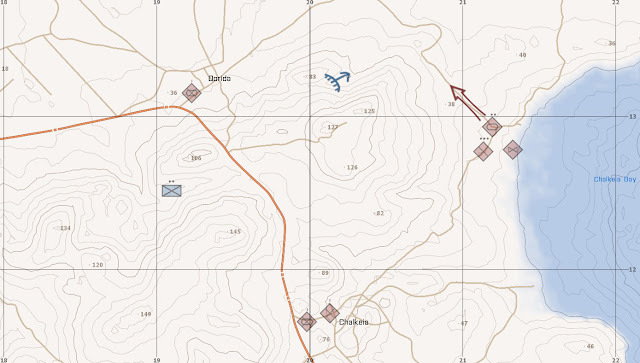 Our intention is to set up an anti armor ambush from a position near or at the blue icon in the map above. To get into position we will have to pass in between the gap of enemy positions at Chalkeia and Dorida. This gap is known to be undefended but it is likely being patrolled. As we approach the enemy positions, we start to ponder when to dismount and start a thorough reconnaissance. 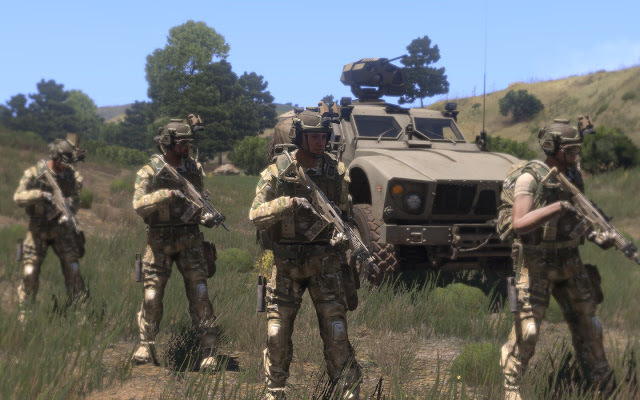 some really cool stuff in Arma 3 I wonder if someone can downgrade their maps to Arma 2? perhaps something to keep an eye out for. best of luck with the mission. it's not going to be easy but this is the perfect mission for light infantry so at least you've got the right guys... but the question is. Are they enough? It's a enormous bet: 1 light squad vrs 1 armored platoon, 1 infantry platoon and 1 attack helicopter. And they are well trained. Although the terrain is great for a shoot and run AT version, the attack helicopter is too much for them, more if you don't have a MANPAD.